Our Mega Liner meets all the expectations in the automotive industry and goes that little bit further. It is not just its cargo volume that makes it a champion. We have continuously developed the Mega Liner over recent years. An innovative high-volume vehicle – packed with sophisticated technology. Size and speed - The low chassis ensures that the Mega Liner leaves no wish unfilled with its mega capacity of 100 m³ and, thanks to a highly-efficient hydraulic rising roof, it permits loading and unloading in a jiffy. 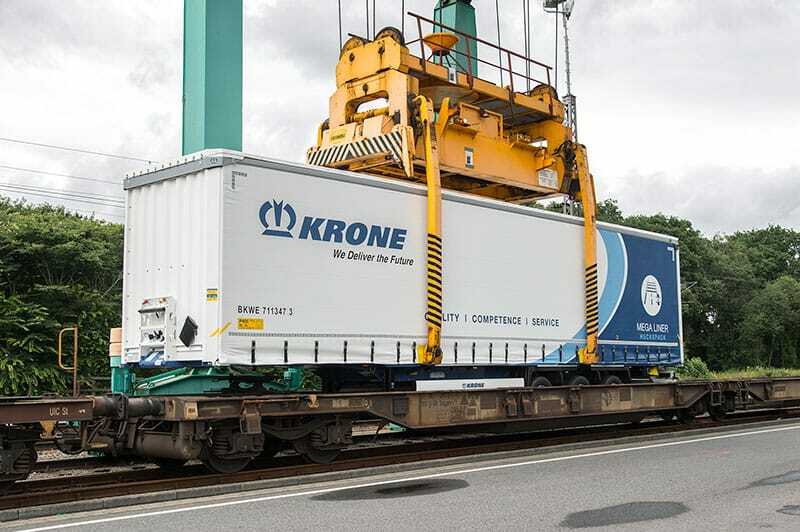 Models for the future - With the piggy-back model, there is also a Mega Liner which is optimally suited for these high-speed routes in freight transport. 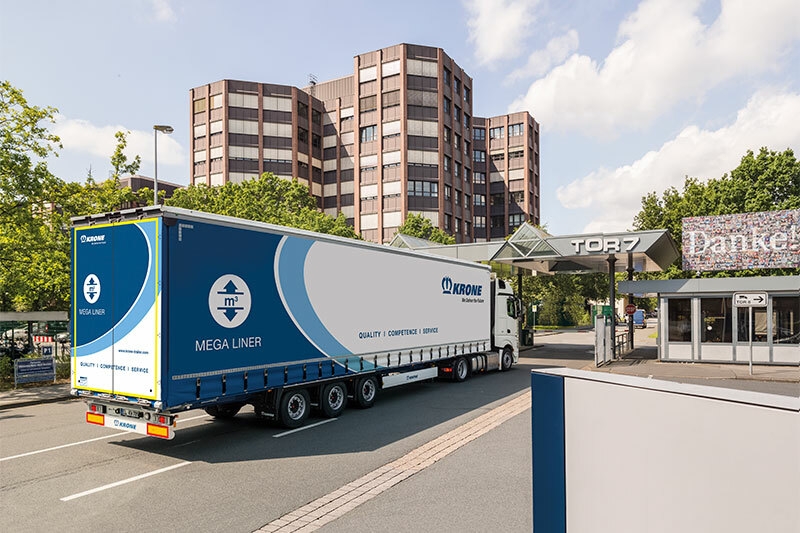 Moreover, the Mega Liner Coil combines flexibility in volume transport with a reinforced chassis as well as a coil trough of 7,236 mm in length for the transport of steel coils in one vehicle. Practice oriented - With our new solutions we continue to set new standards. For example, with our Mega Liner Automotive we present a tailor-made solution to meet the high demands in the car industry. 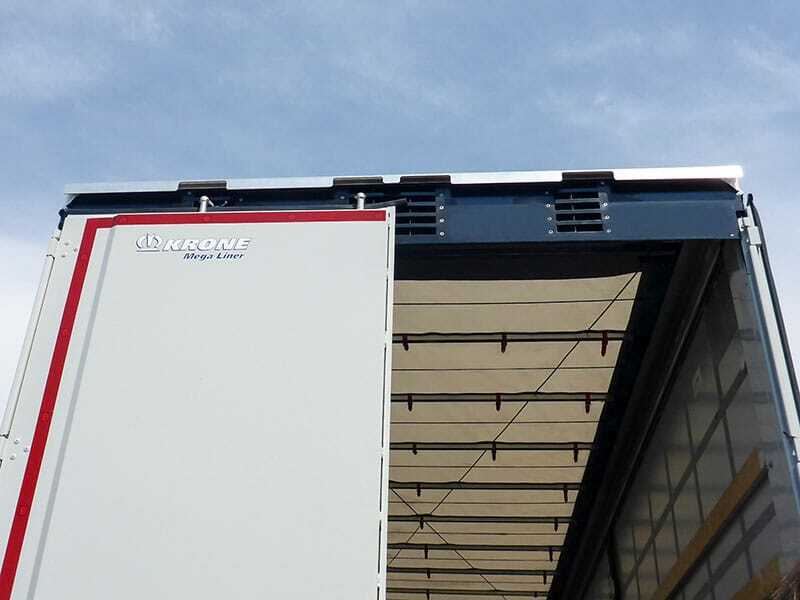 Practical features, such as the EasyTarp side curtain, permit even more efficient transport of high-volume goods. Coupling heights from 880 mm. Travel height adjustment of the door latches. 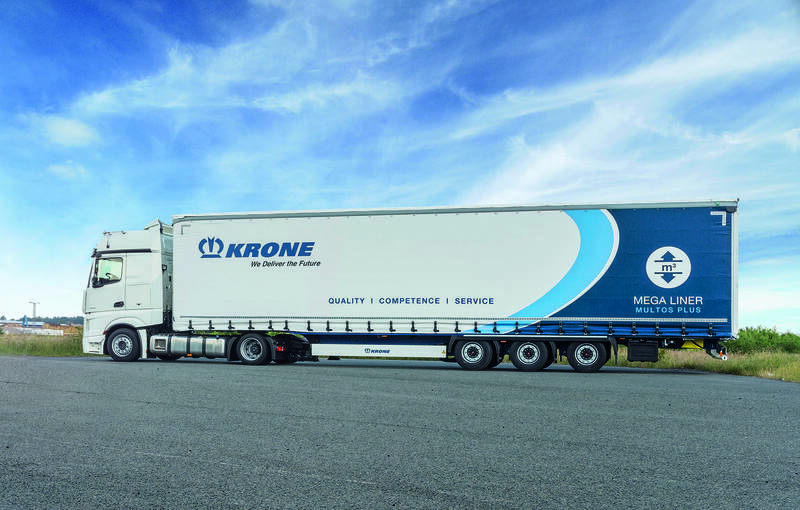 KRONE supplies the Mega Liner with two different neck heights: 80 and 50 mm. When using a tractor unit with a coupling height of 915 mm, the neck height of 50 mm permits an internal height of 3,000 mm (UK, roof beam). With tractor units with a coupling height of 885 mm, the 80 mm neck permits also an internal height of 3,000 mm. Thus, you are playing it on the safe side! Operating the hydraulic rising roof is very simple (car jack principle). Everybody does it intuitively right. The side posts are easily operated and adjusted for height adjustment. The easily operated height adjustment offers the possibility to adapt the total height to different tractors. There are locking possibilities for up to 5 different superstructure heights integrated in the roof beam. In the standard version, 3 settings are possible. 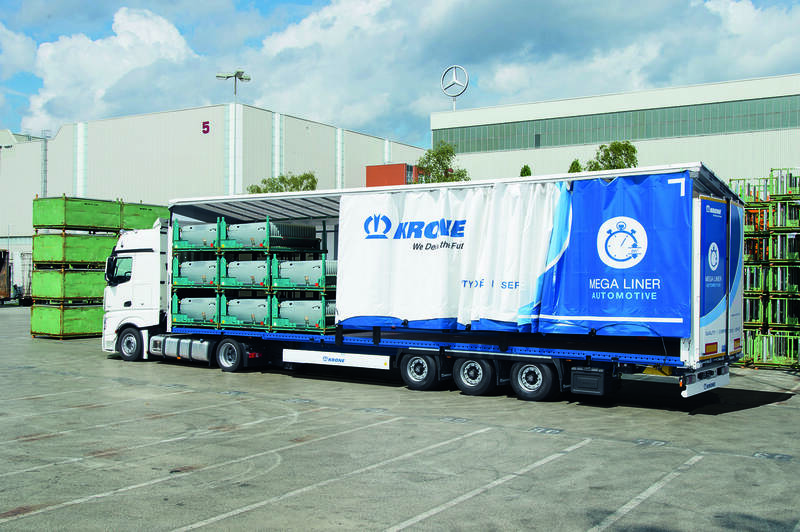 The Mega Liner is also available as huckepack execution for railway transport with the wagon types pocket wagon Mega2 and T5 by Hupac, ‘sail’ wagon and its advanced version T3000 as well as the articulated double-pocket wagon TWIN by AAE. Equipped with the proven coil well and a reinforced chassis, the Mega Liner is also available for transporting steel coils.